My staff and I have developed this web site because we feel communication and education is paramount towards establishing a successful professional relationship. The information contained in this web site is provided to help answer some questions you may have regarding our practice. As in all areas of medicine, particularly dentistry, it is imperative that you compare credentials and qualifications so that you can make an informed decision regarding your dental health. It is especially important to feel comfortable with your doctor and staff. Our practice is based on satisfied patients, and has grown through our patient referrals. We look forward to caring for your family and friends. If you have any questions about our practice, please don´t hesitate to ask. Thank you for your trust and confidence you have placed in us and we welcome you to our practice. Sincerely, Mark C. McCauley, DMD. 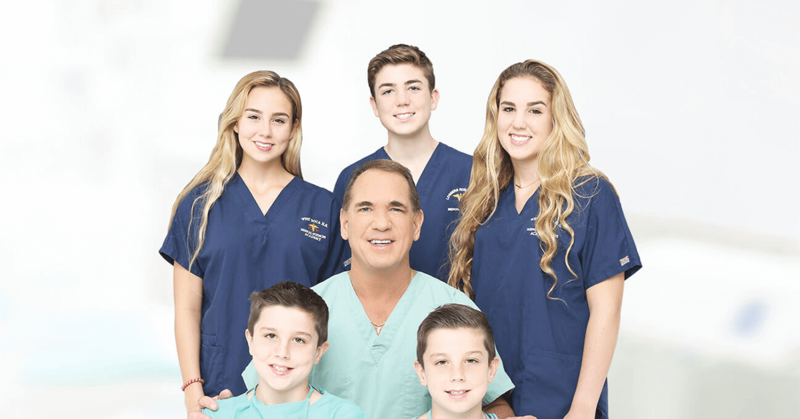 Delray Beach Dentist Dr. Mark McCauley has over 30 years of surgical and restorative experience and has placed over 8000 implants. He provides a full range of services including root canals, crowns and bridges, oral surgery, and bone grafting.